Generally there is no rainfall in the month of February in Bangalore . However, Bangaloreans were in for a pleasant surprise yesterday as the city received more than 50mm of rainfall in most areas. 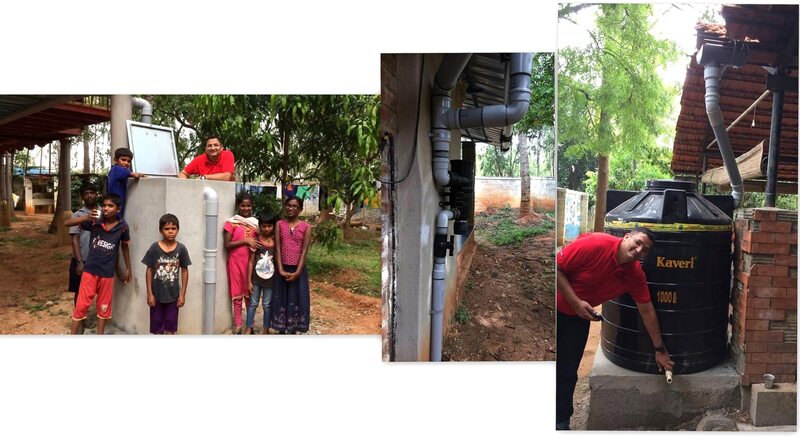 This is one of our Rainwater Harvesting projects in a NGO completed about 2 years back. This site is near sarjapur village and has acute shortage of water . Thanks to a good spell of surprise rain yesterday , they have collected enough water for the next 5 days (Savings of 10 tankers) and have also recharged about 10, 000 liters of water into the ground. Rains bring surprises in many ways .